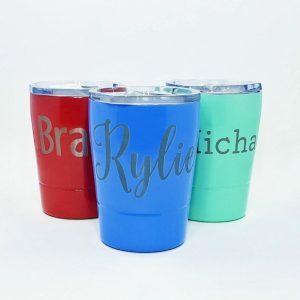 Personalized Mini Kid Tumblers for $12.99 !!! reg price $25 !!! Whether it’s your morning juice or kids’ favorite drinks, carry your drink in style! Our tumbler is the perfect size for any of your beverages and will fit in your car cup holder. Choose your tumbler color, name, and font. Belle Button Knit Sweater are just $24.99 !!! reg price $70 !!! Teacher Back To School Tees for just $13.99 !!! Reg price $25 !!!! Handle Cutting Board- Box Vines for $13.95 !!! reg price $55 !! GoPro HERO7 Silver — Waterproof Digital Action Camera with Touch Screen 4K HD Video 10MP Photos is $199 !!! reg price $300 !!! Crock-Pot Cook’ N Carry Oval Manual Portable Slow Cooker, 6-Quart, Stainless Steel thats $20.65 ! !